Timothy Fuller hasn't added a story. This is the information for everyone who can Donate or who has time to Volunteer at the next Charity Events in the future. Please contact the people involved if you can. 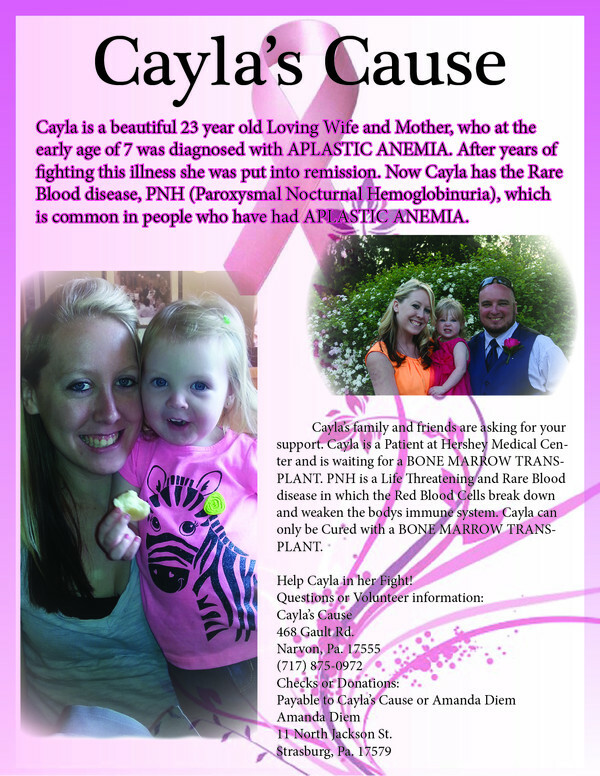 Thank you for Helping CAYLA'S CAUSE. Timothy Fuller hasn't posted any updates yet. Timothy Fuller is managing the funds for this campaign. The campaign is for a personal cause.